Suicide attacks on Sunni and Shi’ite mosques kill 9 and injure dozens on Tuesday. Baghdad, Asharq Al-Awsat—Two of Iraq’s most prominent Shi’ite figures, Moqtada Al-Sadr and Ammar Al-Hakim, have stepped up their criticism of Prime Minister Nuri Al-Maliki’s passive reaction to the wave of bombings that struck Baghdad and several other Iraqi provinces last Sunday. Taking place less than one week after Iraq’s largest jailbreak which saw 500 Al-Qaeda-affiliated prisoners escaping from Abu Ghraib and Taji prisons, Sunday’s bombings left hundreds dead and wounded. In a statement issued on Monday, Moqtada Sadr, the leader of the Sadrist Movement, called on the members of the ruling National Iraqi Alliance to resign. “I am not writing a condemnation [statement] because this is no longer useful. I am not asking the government and the parliament to resign, they are both already dying,” Sadr said. For his part, Ammar Al-Hakim, the leader of the Islamic Supreme Council of Iraq (ISCI), announced that the recurrent security breaches clearly demonstrate negligence on the part of those in charge of Iraq’s national security. “The Taji and Abu Ghraib prison break a few days ago and the successive attacks that have taken place across the country require Iraq’s political leaders to hold an urgent meeting to discuss objective plans,” Hakim announced. “Mr. Al-Hakim did not just call for an urgent meeting of the National Iraqi Alliance but also demanded all those in charge of the security file resign because this is the least they can do in light of the successes the terrorist groups have achieved. This is something that we can no longer tolerate, whether it is on purpose or the result of ignorance or failure,” he added. According to Iraqi police officials, an explosion targeting Shi’ite worshipers leaving Assad Allah mosque in Baghdad on Tuesday killed seven and wounded 11. At the same time, a suicide attack targeted a Sunni mosque in western Baghdad left at least two people dead, according to the Associated Press. The leader of Sadr Movement, Muqtada al-Sadr, called on the government to resign as it is in a countdown, Nina news said. Releasing a statement, Sadr said he will not give the government another chance after Saturday bombings that killed more than 60 people. Sadr stressed he would not give the current government a hundred days or even less than that, and the government is now in the final countdown. „We do not see today, but silence does not exceed shy condemnation, which cannot feed hungry mouths or provide security or peace for Iraqis,“ he continued. „Kirkuk is suffering as Baghdad and the provinces in the center, south and north, which become vulnerable to bomb attacks, bombings and assassinations and the militias move freely and the government is not moving or saying a word,“ he went on to say. 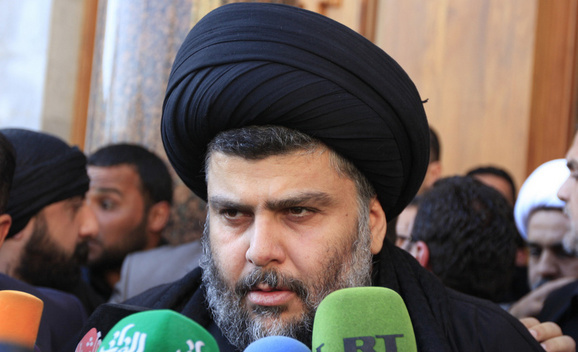 Al Baghdadiya TV, 21 July 2013 – Sadr Movement leader Muqtada Sadr called on the Iraqi people to rise against Nouri Maliki due to insecurity and bombings throughout Iraq. Sadr issued a statement calling on the people to demand their rights and protest insecurity and lack of protection. “If such bombings took place in other the people would rise and demanded the government to step down, with the prime minister topping the list,” Sadr said. The Sadrists leader also emphasized these bombings are unacceptable. 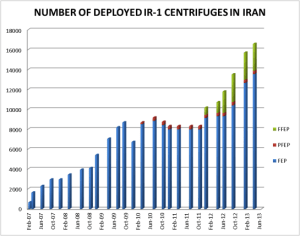 Benjamin Netanyahu has again warned that Israel will not wait “until it’s too late” to stymie Iran’s nuclear ambitions, and that scientists in the Islamic Republic could be ready to make a push towards producing a bomb within a few weeks. In a rare interview with the Western media, Mr Netanyahu told the US television network CBS that Iran is getting “closer and closer to the bomb”. “I will not wait until it’s too late,” he added. The comments come on the eve US Secretary of State John Kerry’s latest visit to the region. 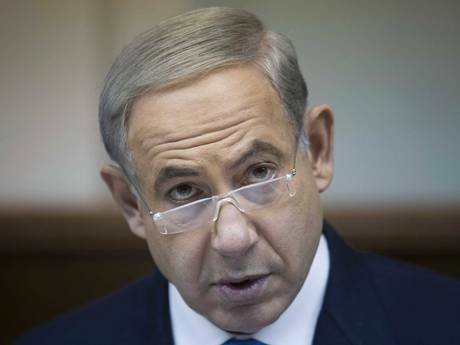 Mr Netanyahu has made stopping Iran’s nuclear programme his priority since being returned to office in January. Until now, Israeli officials have maintained that its allies – by which they largely mean the United States – should present a credible military threat as well as the crippling economic sanctions that have already been imposed on Tehran. Mr Netanyahu appeared to hint in the CBS interview that he felt that a decision on any military action against Iran may be nearing. “They’re edging up to the red line,” Mr Netanyahu said in reference to a speech he made to the United Nations last year in which he held up a cartoon picture of a bomb with a red line drawn across it, to demonstrate how close Iran is to producing a bomb. “They haven’t crossed it yet. They’re also building faster centrifuges that would enable them to jump the line, so to speak, at a much faster rate – that is, within a few weeks,” he said. Iran denies that its nuclear programme is intent on making a nuclear weapon, rather it is designed for the production of efficient nuclear energy. Some in the West welcomed last month’s election of Hassan Rouhani as the next president of Iran, pointing out that among the list of six candidates, he was the most moderate. At the time of his election, Dr Rouhani made conciliatory statements in relation to the US, and on Iran’s nuclear programme; a marked change from the approach adopted by his predecessor, the outgoing president, Mahmoud Ahmadinejad. Do Snowden’s Files Reveal The Truth About 911? When asked whether he believed that someone would attempt to harm or kill the whistleblower, he said that Snowden has “already distributed thousands of documents and made sure that several people around the world have their entire file,” stating that it would not be beneficial for anyone to attempt assassination. He added that the US should be praying that no one would attempt to take Snowden’s life. “If something happens, all the information will be revealed, and that would be [America’s] worst nightmare,” he said. Greenwald later responded to initial reports on the interview, rebutting allegations that he was „blackmailing“ or „threatening“ the US. 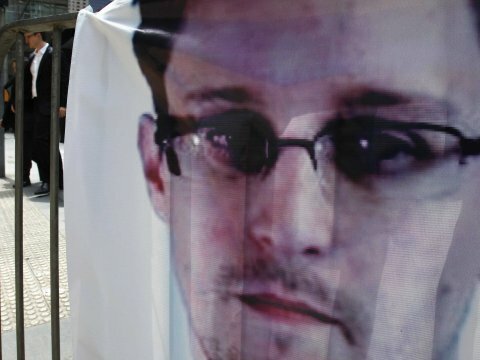 He stated in a Guardian column that the reported fact Snowden had created a „dead man’s switch“ of sorts was not new, but he was rather reiterating that it was precaution „against all eventualities,“ adding that he himself does not have access to the „insurance“ documents and played no role in arranging the dead man’s switch. Greenwald also pointed out Snowden’s insistence that journalistic discretion was exercised. „The oft-repeated claim that Snowden’s intent is to harm the US is completely negated by the reality that he has all sorts of documents that could quickly and seriously harm the US if disclosed, yet he has published none of those,“ Greenwald wrote. Baghdad, Asharq Al-Awsat—Sadr Movement leader Moqtada Al-Sadr has announced a new alliance with the Islamic Supreme Council of Iraq (ISCI) led by Ammar Al-Hakim, describing it as a “strategic” alliance. This alliance brings together the two most important Shi’ite factions in Iraq following an experiment that seems to be somewhat of a success on the local level, namely the sharing of power in a number of Iraq’s governorates, particularly Baghdad. This experiment has seen a Sadrist-ISCI coalition defeat Iraqi prime minister Nuri Al-Maliki’s State of Law (SLC) coalition, which had monopolized the most important posts in the capital, including that of governor and head of the governorate council, for more than eight years. Al-Ahrar bloc MP Mohammed Ridha Al-Khafaji informed Asharq Al-Awsat that “the new alliance between ISCI and the Sadr Movement also includes the Kurds.” However, the leader of the Kurdistan Alliance in the Iraqi parliament, Fuad Maasoum, denied that the Kurds had joined any alliance. Exiled Iranian group alleges nuclear site has existed since 2006 beneath mountain near town of Damavand, Rowhani had ‘key role’ in programme. 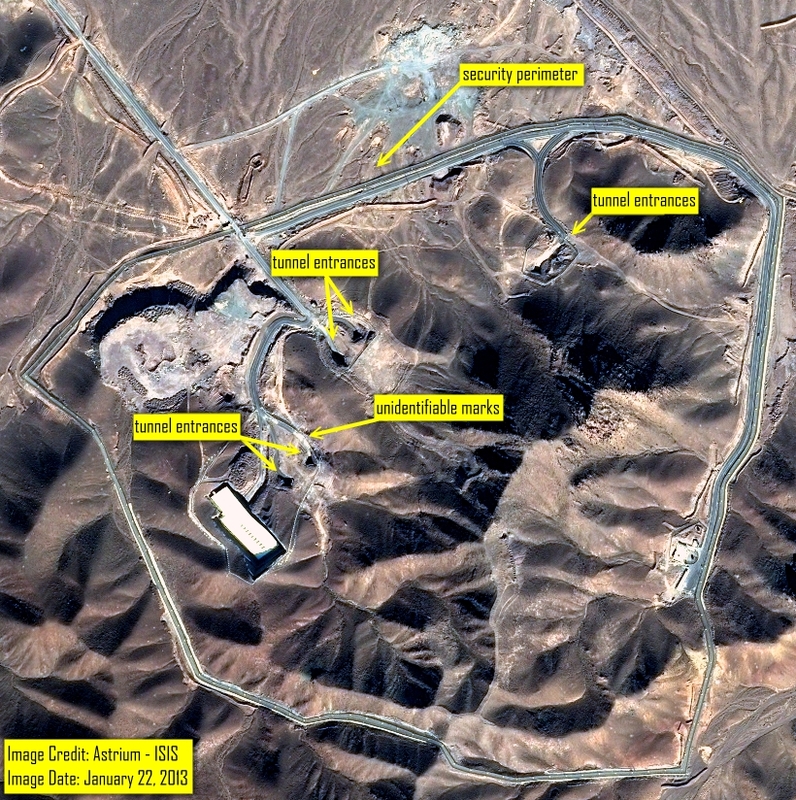 PARIS – An exiled Iranian opposition group claimed on Thursday to have evidence of a hidden nuclear site located in tunnels beneath a mountain near the town of Damavand, 70 kilometres (44 miles) northeast of Tehran. The Paris-based militant group the People’s Mujahedin of Iran (MEK), alleges the site has existed since 2006 with the first series of subterranean tunnels and four external depots recently completed. The group also claims the recently elected president Hassan Rowhani, a former nuclear negotiator, had a „key role“ in the programme. Founded in the 1960s to oppose the rule of the Shah, the MEK was considered a terrorist organisation by the United States until last year, and has provided information about the Iranian nuclear programme on several occasions. „The organisation of the People’s Mujahedin of Iran (MEK) has discovered credible evidence of a secret new nuclear site, gathered over a year by 50 sources in various parts of the regime,“ said a statement from the National Council of Resistance of Iran (NCRI), the umbrella group of which MEK is a part. „The codename of the project is ‚Ma’adane-e Charq‘ (literally ‚the mine of the east‘) or ‚Project Kossar‘. 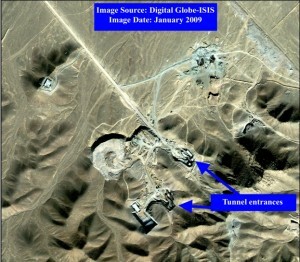 This site is hidden in a series of tunnels under a mountain near the town of Damavand,“ it said. The International Atomic Energy Agency (IAEA) has attempted to speak to Fakhrizadeh in the past without success. The „next phase“ of the project will be the construction of up to 30 tunnels and 30 depots, the report added. The report concluded: „These revelations demonstrate once again that the Mullahs‘ regime has no intention of stopping or even suspending the development of a nuclear weapon,“ the MEK said, calling on the IAEA to visit the secret site. resolve his country’s nuclear standoff with the West. appeared to have been rigged. The letter signed by the Republican chairman of the House Foreign Affairs Committee Rep. Ed Royce as well as all the members of the panel. 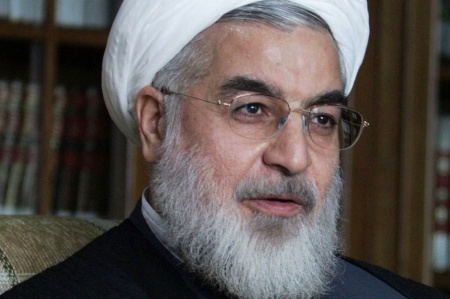 Royce and the committee members said Rowhani has supported Iran’s nuclear ambitions. 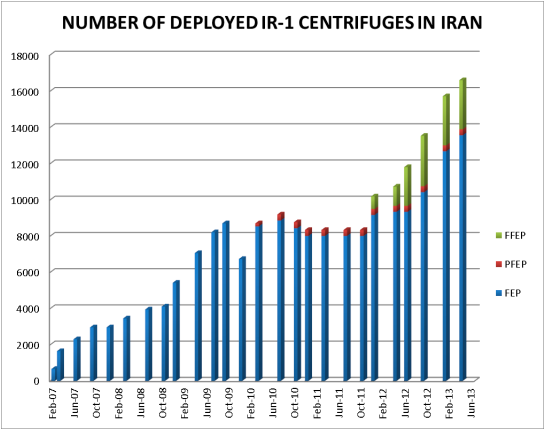 Iran’s pursuit of a nuclear weapons capacity,” the letter said. acquiring a nuclear weapons capability,” the letter said. The Mahdi Army, an armed branch of Sadr’s movement, engaged in bloody armed combat with American forces from 2004 to 2007. However, things changed after Sadr decided to freeze his fighters’ activity and senior officials close to the movement confirmed in 2008 that the movement would turn to political action. Yet Sadr’s recent remarks directed at the US ambassador indicate that he desires to rise to power after the 2014 parliamentary elections. „This number of seats qualifies the Sadr movement to take over the management of the Iraqi state. The prime minister position, as well as many other senior positions in the country, will be part of the movement’s share of power,” Kirkhany said. Sadr competes with current Iraqi Prime Minister Nouri al-Maliki for the position of head of the government. The Sadrists believe that Maliki’s popularity has decreased in the provinces, particularly since he lost several seats — nearly 59 seats in 12 provinces — in local provincial councils, compared to the number of seats Maliki won in the 2009 local elections. Sadr is trying to shape a more flexible public opinion to gain from Maliki’s decline in popularity. While the opposition is trying to restrain Maliki from running for a third term, the Sadrist movement promised that a law will be enacted to limit the prime minister to two terms.